Hearing loss can occur due to many different reasons, and that can be of various frequencies and wavelengths. The hearing disorder cannot last long – if inner ear doesn’t experience any major injury of small and narrow frequency but the situation is reversed in case of tinnitus. This could mean that in tinnitus, ranges of high and low pitched frequencies released in eardrum can cause permanent hear loss issue. Some people suggest that tinnitus originates from the cavity of the eardrum or sometimes it arises in the cochlea, in the brain stem or neural pathway. But in most of the cases, it is usually originated from cochlear. However, whatever the origin of tinnitus it’s always translated by auditory part of the brain to show abnormal sign of tinnitus and hearing disorder. The symptom of tinnitus is carried out by the reduced nerve activity that links with the damaged part of the inner ear to CNS in the brain. 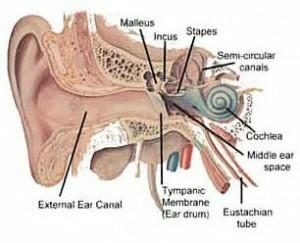 These abnormal phenomena lead to trigger nerve activity which tends to show diverse and usual noises in the eardrum. The ringing in head hence does not allow the person to hear original sound of the surrounding. As tinnitus and hearing loss is directly proportional to each other, some people who experience tinnitus in past months or year, they are likely to suffer from chronic hearing loss issue. 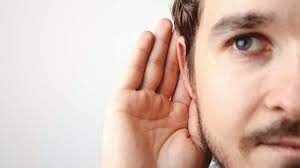 It is also possible that person may receive a small proportion of hearing loss. Tinnitus symptoms are associated with various exposures which cause a certain degree of hearing impairment. This hearing impairment could give a spectrum of noises in the head that does not allow the receiver of tinnitus to perform their respective task. As you know, tinnitus occurs due to excessive exposure to loud noise which means it leads to cause hearing impairment due to cochlear damage. In which sensitive and subtle mini hair is damaged by the loud pitched noise. As these are interrelated to each other, it’s important to investigate the previous history of hearing aliment to keep prevented from any hearing impairment. Those who experience inconsistent episodes of tinnitus reported that the noises in a head mask or disturb the original external sound of the surrounding. While some of them experience hearing loss due to tinnitus, so it’s become challenging for both the patient and doctor to examine whether the hearing difficulty is caused by tinnitus or by underlying hearing disability. Audiologists report that the hearing disorder always steers tinnitus. So you should keep a check on your hearing ability by seeing a healthcare professional. Always add food to diet after consulting with doctors as these can also contribute to hearing impairment. Moreover, if you work in a loud environment, wear personal protective equipment to keep prevented from harmful hearing exposure.